The kitchen is probably the most frequented room in your home, and if you are feeling frustrated every time you walk into it because it feels like you just went back in time, then it is time for a kitchen remodel. Believe it or not, remodeling your kitchen doesn’t have to be an overwhelming process—especially if you opt for design-build services. As an award-winning luxury home remodeler and design-build firm, we know exactly how to make the renovation process efficient, effective, and even enjoyable! Sound familiar? If you’re looking to save counter space, whip up your favorite gourmet recipe (the right way), and give the centerpiece of your home more form and function, it’s time for a renovation. The number one kitchen obsession of renovating homeowners is decluttering counters, according to a 2018 Houzz study. With a new design, you can kiss clutter goodbye. Organize your kitchen more efficiently and maximize space with a full kitchen remodel. With a kitchen remodel, not only will your counters be clutter-free, but you’ll maximize space to move. Increase storage and maximize walking space with a new layout. 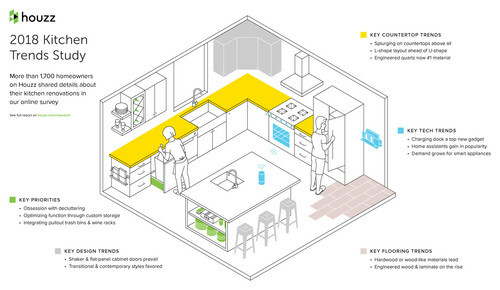 Plus, you can use computer-guided design software to visualize your future kitchen digitally. There’s never been a better opportunity to get rid of your old appliances—and if you’re mid-remodel, you might as well do a full upgrade with a set of new appliances. We live in a smart-centric world, and the kitchen is no exception. Smart fridges allow you to shop for food, digitize family schedules, read the news, and stream songs and movies right from the epicenter of your kitchen. Is your old dishwasher’s spin-cycle keeping you up at night? Did you forget to hit the “Start” button after loading up the dishes? There’s a smart dishwasher for that. Maybe you’re still trying to perfect the perfect turkey before Thanksgiving comes. You guessed it—smart ovens allow you to monitor, preheat, and adjust the oven’s temperature via WiFi. Did you know that the average ROI for an upscale kitchen remodel is roughly 54%? That’s only one room of your home—imagine if you did a whole-home renovation before you put it on the market. Not only will your budget thank you, but it may not survive without a kitchen remodel. Most people in the market for a home today are turned off by “old style” kitchens. If you plan on selling your home in the future, you want to maximize curb appeal. Does your kitchen feel and look outdated? Don’t worry—we’ve seen countless homeowners with antiquated kitchens ready to explore a modern, luxury approach. Check out some of our luxury kitchen renovations here. 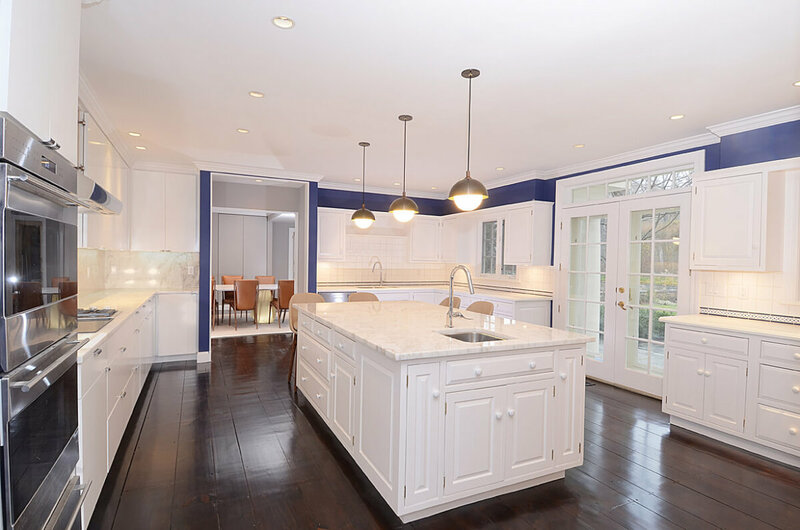 As the leading luxury home renovation firm in Westchester and Fairfield Counties, we’re eager to see how we can make your dream kitchen a reality.